What is a shot? What is an undercut? What is flash? If you are going to use injection molding to make your parts or product then you need to know the lingo. Below are some of the most common injection molding terms that you will come across. Check it out. At HLH, we make things for you. FreeQuote@HLHPrototypes.com to start. Additives â€“ Are compounds that are added to resins to improve the performance and look of a finished part. Using organic additives to help improve the biodegradable properties of the plastic is an up and coming trend. Annealing – Is the heating and slow cooling of a part that helps relieve internal part stresses. Assembly â€“ A secondary manufacturing process that joins finished parts together. Backing plate â€“ A plate, which supports the mold, pins and bushings in the injection machine. Blister â€“ A part defect that looks like a blister. A small air bubble generally created by gas or air bubbles. BlowÂ Molding â€“ A very common process for making plastic bottles. Plastic is heated in a tube and then forcedÂ air pushes the plastic outwards to the mold walls where it cools and is then ejected. Bridge Tool â€“ A low-volume production tool, generally from a few thousand parts up to 100,000 parts. Bridge tool, soft tool, ProtoTool, rapid tooling, all similar terminology that basically all mean the same thing. Cavity – A machined shape to match your part design within the mold. Clamps â€“ Hold the mold in place during the injection molding process. Cold slug â€“ A small non-uniformed defect area of a part. This happens with an improperly heated piece of plastic becomes attached to the part. Colorant â€“ Pellets, powders or liquids that are mixed with resin to produce your desired colour. Core – Protrusion (male part) that forms the inner surface of the part. Crazing â€“ Small crack defects that are oftenÂ seen when the plastic material is over-stressed. Creep â€“ Due to its viscoelastic nature, a plastic subjected to a load for a period of time tends to deform more than it would from the same load released immediately after application, and the degree of this deformation is dependent of the load duration. Cure â€“Â A part is curing when it is allowed toÂ harden and stabilize. Cycle â€“ This is the complete time that it takes to produce one run of plastic parts from a single mold. The cycle timeÂ will vary depending on part size, complexity and plastic properties. Degassing â€“ Means the opening annd closing of a mold that allows gas to escape. Using this technique can help eliminate part defect issues. Delamination – If there is moisture in the resin you may see a flaky surface finish defect. Dimensional Stability – Can your plastic part retain its precise shape? Draft â€“ The angle of the side walls that help facilitate ejection of your part from the mold. EDMÂ – Electrical discharges eat away at a metal block to achieve the desired shape. It is one of the techniques used to create injection molds. Elasticity â€“ Can your part return to its original shape when stretched? This is known as your parts elasticity. Elastomer â€“ A rubber-like material, which is highly elastic. Extrusion â€“ The process of forming tubes or continuous shapes by pushing melted material through a die aperture. Family Mold â€“ Several parts made from the same mold with multiple cavities. Fan gate â€“ A gate with a wider width that helps reduce warping through stress. Fill â€“ The packing of the cavity or cavities of the mold as required to give a complete part or parts that are free of flash and porosity. Finish â€“Â The look and feel or your parts surface. FlashÂ â€“ Poor clamping force can cause a thin lip to protrude beyong the body of the part which requires post mold re-work or turns the part into scrap. Flow marks – A slow injection speed that allows the material to cool too quickly can cause a wavy pattern or discolourationÂ on your part. Flow rate â€“ The volume of material passing a fixed point per unit time. Gate â€“ The channel into which melted plastic flows into a mold. Hardness â€“ The resistance of a material to compression, indentation and scratching. Injection BlowÂ Molding – A blow molding process in which the parison to be blown is formed by injection molding. Insert â€“ An object, such as a magnet or screw, which is inserted into the molded part. Jig â€“ Holds and guides the tool during the manufacturing process. Machine Shot Capacity â€“ The maximum volume of resin which can be injected in a single stroke. Masterbatch â€“ A solid or liquid additive for plastic used for coloring plastics or imparting other properties to plastics. Memory â€“ The action of plastic returning to its previous size and form. Mold â€“ A hollow form that plastic is injected or inserted into to manufacture a plastic part. Mold release â€“ A surface preparation used to aid in the ejection of the part from the mold. 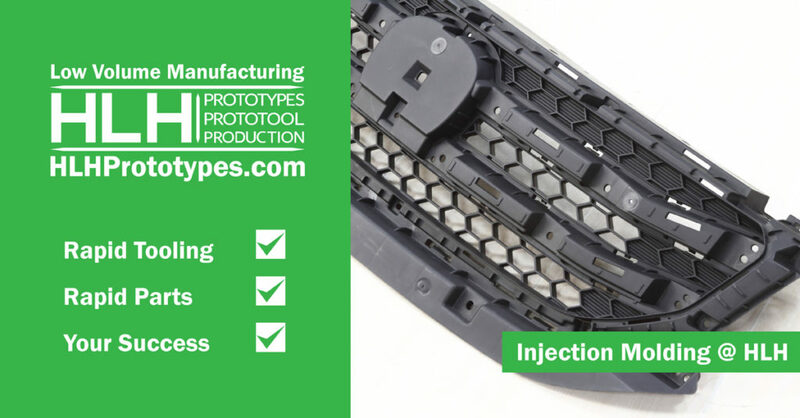 Multi-shot molding â€“ A process where two or more plastic substances are injected into the mold to form a part. Toothbrushes are often manufactured using this technique. Orange peel â€“ A patchy rough surface defect caused by moisture in the mold cavity, or by incomplete pack-out. Over molding â€“ A two-shot process, in which two plastic substances, are injected into a mold sequentially, usually a harder base material with a coating of softer material. Parting line â€“ A line on a part formed when the two sides of the mold come together. Pinpoint gate â€“ A very small gate, used in hot runner molds, to control the flow of material. Plastic â€“ A polymeric substance of large molecular weight. Platens â€“ Steel plates in the molding machine onto which the mold is fastened. Polymer – A substance that has a molecular structure consisting chiefly or entirely of a large number of similar units bonded together, e.g., many synthetic organic materials used as plastics and resins. Purging â€“ The process of cleaning the injection machine of remnant color or materials prior to running a new part. Ram â€“ A plunger-like part which pushes the melted material into the mold. Release agent â€“ A compound, which is sprayed on the mold, or as an additive, molded into the part to help facilitate the release of the part. Retainer plate â€“ A plate onto which the removable parts of the mold are mounted. Runner system â€“ The channel system that allows the flow of the melted material to fill the part cavities. Short shot â€“ A defect where the material does not fully fill the part cavity. Shot â€“ A complete cycle of the injection machine. Shrinkage â€“ Contraction upon cooling of all or areas of the part. Shrinkage occurs less is disorientated material and more across chains of molecules than along their lengths. Lower pack area have lower areas of orientation and shrinkage. .
Thermoplastic – Material that will repeatedly soften when heated and harden when cooled. Thermoset â€“ A material, which when heated, is pressed or molded into a shape. The heating process changes the structure of these materials, and for this reason they cannot by reheated. Toggle â€“ A mechanism that mechanically closes a mold, as opposed to hydraulic clamping. Undercut â€“ Can be a design flaw that results in an indentation or protrusion that inhibits the ejection of the part from the mold. Other times undercuts are designed into a mold to ensure a part holds onto the correct side of the mold. Vent â€“ Gas and air escape through a vent in the mold to help prevent part defects. Weld Line – A line where the two flow fronts meet and are unable to completely join together during the molding process.